I quite often get the question asked by parents “Do kids need a chiropractor?”. The simple answer is yes but it depends on your definition of “need”. If we want to build healthy kids then we it would make sense to provide the body what it needs to genetically express health and wellness. This is an area that a chiropractor can help with. Building healthy kids is just like building a house. Do you want a strong house that can resist the elements and be around for a long time to protect your family, or do you want a house that is constantly breaking down, needing repair, continually costing money, and structurally unsafe to live in? These answers are really decided in the construction phase when you are choosing the type of material that you will use to build the house. I guess the story of the three pigs jumps out at me as a good example. Technically all three structures were considered houses but there was a radical difference between the one made of straw and the last made of bricks. The brick house took more time, conscious effort, and attention to detail to build, but it was built right. The same can go for building healthy kids. The brain controls the function of everything in the body and gets messages to and from the body through the nervous system. The clearer the message the better the body works. A chiropractor simply checks for dysfunction in the spine that causes interference in the nervous system. This helps to maintain a healthy brain body connection. Many parents know that children need good food, rest, love, movement, play, and exercise to be healthy. What may go unnoticed is the roll of the nervous system in these lifestyle activities. If the nervous system is only working at 70% then the most you can get out of healthy things you do is 70%. 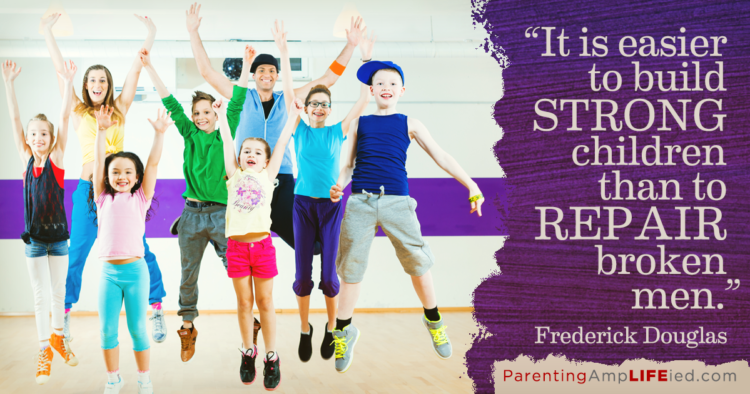 A healthy nervous system is an essential part of building healthy kids. The better the foundation of health at an early age the better the body can respond to stress in the future resulting in better quality and quantity of life and less breakdowns and repairs along the way. So, back to the question “do kids need a chiropractor?”. Again, short answer yes, just like they need good food, rest, love, movement, play, exercise, etc. For more information on children and chiropractic check out this website here, or get in touch with our office and speak to me about any questions or concerns you may have.